Trial is underway in one of the first lawsuits heard by a jury regarding drug manufacturer Johnson & Johnson’s subsidiary Synthes Inc. using a type of bone cement absent FDA approval on the spines of patients who later died in surgery, just moments after they were injected with the compound. The wrongful death lawsuit, filed in a Washington state court, focuses on the intentional off-label use of the bone cement which was known to be risky. What should have been a routine procedure to treat back pain for a 67-year-old patient in 2007 ended up killing her. Patient’s family sued Synthes, the surgeon and the hospital for use of the bone cement, known as Norian, even though it wasn’t approved for use in back pain surgery. Back in 2009, federal prosecutors filed charges against the drug maker and four executives with Synthes, alleging the company was conducting illegal clinical trials on people. The criminal case resulted in a plea deal, which involved prison time for the executives and a $23 million fine for Synthes. The Norian bone cement product was created for use in skull and arm bone surgeries. The purpose is to strengthen bones that have been injured. When used on the spine, the risk of a fatality spiked dramatically because it upped the potential for a deadly blood clot to form. Tests of Norian conducted in the early 2000s on pigs ended with the animals dying within just seconds. 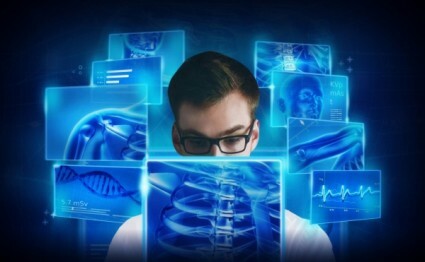 Still, rather than engaging in what surely would have been a long and expensive process to conduct proper testing to attain the approval of the FDA for use in humans on spinal surgeries, the company simply went straight to marketing it for that purpose. This route was both faster and cheaper – and infinitely less safe. The patients on the operating table were unwitting guinea pigs. Synthes insists that doctors were keenly aware that Norian bone cement didn’t have FDA approval for use in spinal surgery. The doctor in this case hasn’t disputed that directly yet, but insists his use of the cement never fell below the applicable standard of care for his profession, which is the standard that must be proved in a medical malpractice lawsuit. The FDA began investigating the use of Norian in back surgeries after a handful of patients died and dozens of others almost did. The company was required to put a label on the drug indicating it was never approved for use in back surgery. In the case being tried now, patient died after that warning was issued. The FDA, however, doesn’t control how doctors treat patients, only how certain drugs and products are marketed.